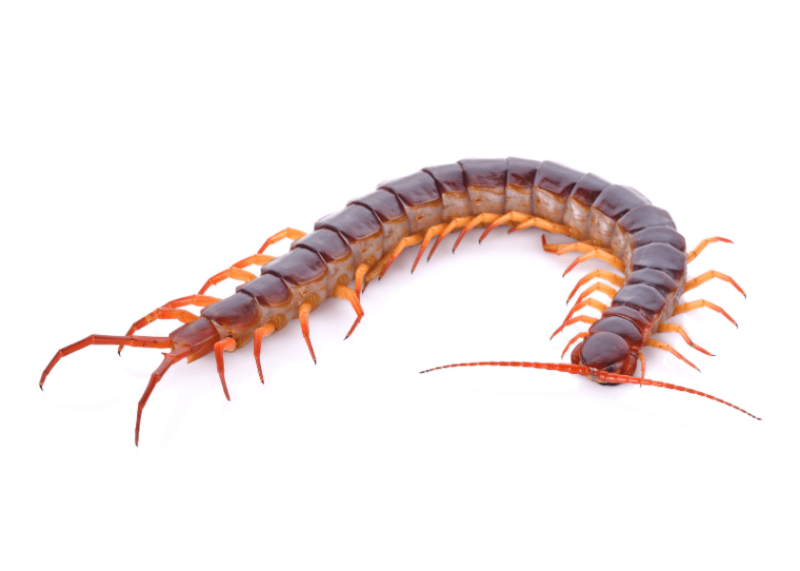 Feared worse than any other creature, big or small in Bermuda is the dreaded centipede. Large and venomous, just the thought of a centipede is enough to unnerve even the strongest of humans. Once thought to only inhabit St. David’s, the centipede has successfully made its way West, striking fear in all who inhabit Bermuda’s shores. 1. One way to deter them, because they have no problem entering homes, is to have toads nearby, especially females ones. But there are fewer toads in Bermuda now than in the past. They typically enter houses while seeking prey and end up trapped inside and are required to make nests in damp, cool, protected areas to survive. Another effective way to dissuade them from entering is by maintaining debris and tall vegetation back from walls. 2. The St. David’s centipede (scolopendra subspinipes) was known to inhabit more of the eastern parishes of the island but can now be found on the west end as well. This centipede, also known as the tropical centipede, was dispersed to other parts of the island due to the nests being collected by the trash system or on the horticultural waste collected from woodland areas and parks. 3. Centipedes carry their venom in the powerful pincers below their head and their bite can be as painful as a bee sting. They typically feed on small insects but can be prolonged. People allergic to bee or insect stings could experience serious problems if bit. 4. The tropical centipede has been on the island for years but is nocturnal and only seen during the daytime if it has been disturbed. They are huge and can be up to a foot long! 6. Their favorite weather conditions include lots of rain because it means plenty of food and damp places for them to build their homes. 7. The centipedes that you find in your garden are much smaller and measure around two to three inches long, which makes them distinguishable from the tropical centipede. They are beneficial to the gardener as they feed on small insects and do not bite. 8. Finally, the house centipede, although similar in size to the garden centipede has longer spindly legs and are typically only found inside homes and buildings.